Stanislaw Skrowaczewski. Two words. Unsung genius. Also two words. https://www.facebook.com/DeutscheRadioPhilharmonie/posts/1311662335547212 2 years 2 months ago. https://www.facebook.com/DeutscheRadioPhilharmonie/posts/1311676348879144 2 years 2 months ago. Stanislaw Skrowaczewsky shared a photo. https://www.facebook.com/brklassik/posts/1342637869112995:0 2 years 2 months ago. "To me, art is a dialogue with the unknown." Der polnische Dirigent Stanislav Skrowaczewski ist gestern im Alter von 93 Jahren gestorben. Bei uns stand er zuletzt 2012 am Pult und dirigierte Schostakowitschs 5. Symphonie. Wir erinnern uns an einen großen Musiker und Dirigenten. 2 years 2 months ago. https://www.facebook.com/BRSO/posts/10155025526027232 2 years 2 months ago. Few musicians are as famous conductors as they are composers: Leonard Bernstein and Stanislaw Skrowaczewski (1923-2017) are perhaps the foremost. 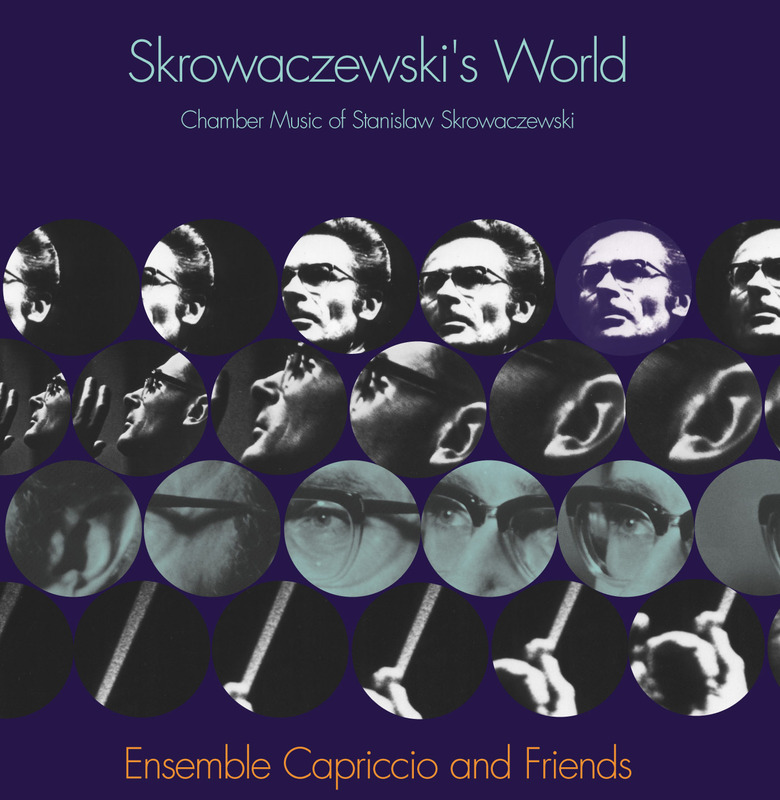 In honor of his eightieth year, acclaimed trio, Ensemble Capriccio, with additional guests from the Minnesota Orchestra, have recorded three of Stan’s most intense and lyrical chamber works. Steeped in the late Romantics (his Bruckner recordings are legendary) and post-war Polish modernism (such as Lutoslawski and Panufnik), these are tightly-constructed brooding gems dramatically played by mature virtuosos closely associated with the composer. A rare glimpse for those who know him only from the podiums of Europe (Warsaw, Halle), New York, Minnesota, Pittsburgh and Cleveland, and a delight for classical music connoisseurs everywhere.